Planet uniquely provides a full range of integrated services to public and private institutions worldwide, responding to the challenges and the increased requirements resulting from the transformation of economies and the globalization of the market. Our positioning in the international market aligns with the priorities and the segmentation adopted by the entire development strategy of the company. While leadership is exercised throughout the entire South Eastern Europe and Eastern Mediterranean Region, Planet’s activity ranks distinctly in the Brussels Market, Home and Market, and the remaining international market. In the Brussels Market, which is regarded as a demand for services accruing from EU-funded programmes or addressing operational needs of EU institutions or other donors, Planet provides multiple services in the form of policy advice, technical and scientific assistance, and research and innovation initiatives. In our Home Market (Greece, Bulgaria, Croatia, Cyprus, Romania) and Neighbour Market (Western Balkans and Turkey), Planet continuously and systematically supports central and regional public administration transformation and restructuring, as well as the privatisation and the private sector consolidation processes. In the International Market (Asia, Middle East, Africa, other selected countries), Planet mainly responds to the demand created by donor funds worldwide, offering a broad range of services in all sectors falling under our expertise. PLANET is significantly expanding its presence in the International Market through its substantial work in post-conflict countries where PLANET implements donor-funded large scale development projects. 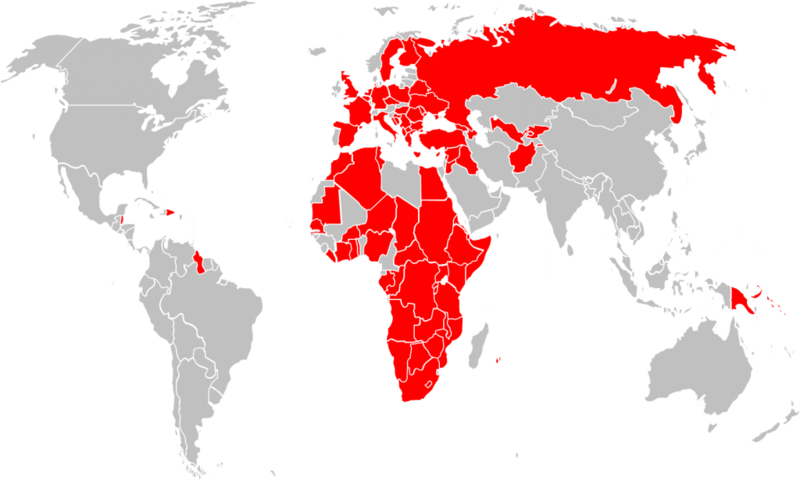 We have already established local branches, namely in Afghanistan, Iraq, and Nigeria. 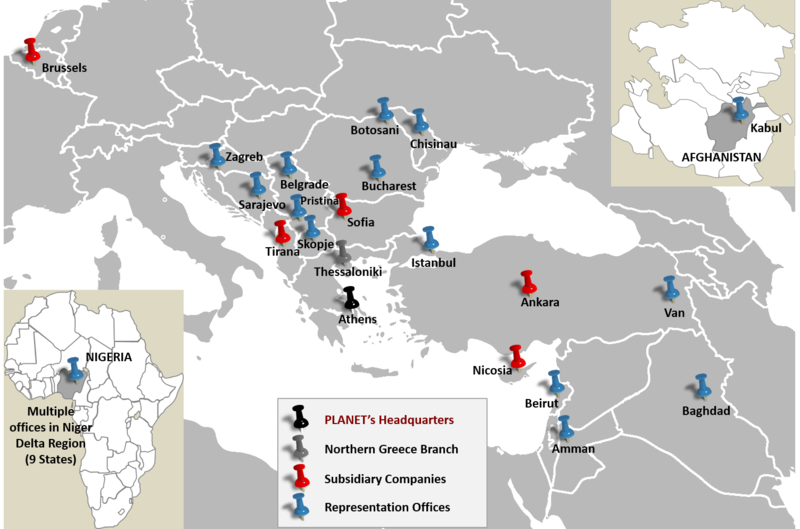 The above market is served through Planet’s Offices in Greece (HQ in Athens and a Northern Greece branch) and the Brussels Office, subsidiary companies or representative offices in all the countries making up our Home and Neighbour Markets. It is also served through a network of representative offices or affiliated companies in the remaining international market, in collaboration with a leading network of key international and local actors. The capacity to devise and materialise proper strategic road mapswithin a stable and creative internal environment. Over 100 highly experienced in-house professionals, continuously upgrading their knowledge, skills and competencies in the international market. Thorough regional and country management, exercised by senior managers, resulting in a strong market knowledge and intelligence. The capacity to establish and manage international alliances and partnerships that meet client’s particular needs and market requirements, and ensure the necessary transfer of know-how. High professional standards in international project planning and control project management, service delivery and thorough back-stopping under extremely demanding conditions. An advanced infrastructure, including an extensive portfolio of methods and tools that strongly facilitate international activity. A vast network of over 8,000 qualified experts around the world. Planet’s locations in our Home & Neighbour Market of Southeast Europe and Mediterranean region are illustrated in the map below.